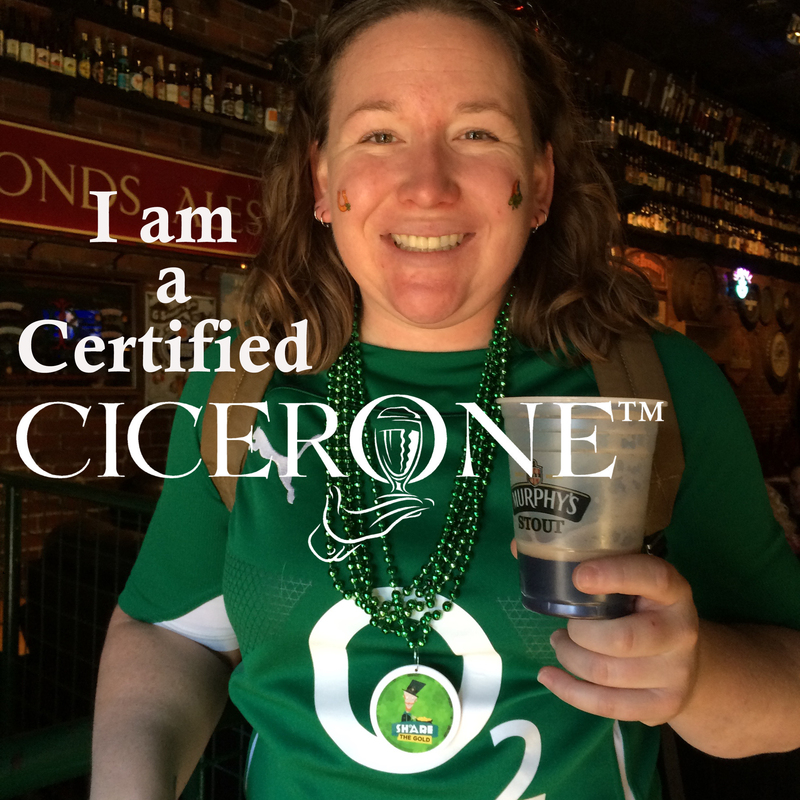 I am a Certified Cicerone! Hey, craft beer fans! I wanted to let you know that as of today, I am a Certified Cicerone. This means that I will build thoughtfully executed food and beer pairings for our taproom and keep educating myself to be a better brewer. “Anyone can call themselves an expert on beer. But when consumers want great beer they need help from a server who really knows beer flavors, styles, and service. They also want to buy beer from a place that understands proper storage and serving so the beer they drink will taste the way it should. Too often great beer is harmed by improper handling and service practices. In the wine world, the word “sommelier” designates those with proven expertise in selecting, acquiring and serving fine wine. At one time, some beer servers adopted the title “beer sommelier” to tie into the credibility of the wine world. But in the years since its founding, the Cicerone® Certification Program has become the industry standard for identifying those with significant knowledge and professional skills in beer sales and service. The Cicerone Certification Program offers independent assessment and certification so that industry professionals—as well as consumers—can be sure of the knowledge and skills possessed by current and prospective beer servers. The Certified Cicerone exam is a rigorous four-hour examination of beer knowledge. The tasting portion of the exam requires identification of beer styles, flaws and service problems. The extensive written exam covers knowledge about beer service and draft systems, beer styles, brewing, and pairing beer with food. Candidates also perform a demonstration involving an aspect of beer service. A score of 80 is required to pass and candidates often spend several months preparing for the exam. Only about 200 individuals pass this second level certification each year. See you around tasty beer. Yes, it’s obvious, but that’s where you can find me. Cheers! Green CO2, with the help of Thirtsy German, is proud to hose the International Pink Boots Society Meeting as well as educational sessions open to the public, FREE of charge! 2:00 – 2:30p – Denver Fire Dept – New CO2 Regulations! 3:15 – 4:00p – Joyride Brewing, Epic Brewing, Dry Drock Brewing, Fiction Brewing — All about perfecting FRUIT BEERS! 4:00 – 4:45p – Kent Bailey from Coppertail Brewing + Nicol Winkler from Oktoberfest Tampa – All about Community Collaborations! 5:00 – 5:30p – Ashleigh Carter from Bierstadt Lagerhaus – Lagering! 6:30 – 7:00p – Kim Collins / Guardian Brewing – Training and Management! CRAFT BEER ART will be on display by Pink Boots Member and uber-talented: Amanda Willshire from AwdArt! MEDIA WELCOME. Email: editor@thirstygerman.com for press info.